In our family, there’s no better way to spend a summer day than by going to the beach. Ever since our kids were babies, they’ve absolutely adored playing in the sand, splashing in the waves, and soaking up the sun. Even though there’s already so much to do on the beach naturally, we find out kids have the most fun when we bring along a few extra toys and activities for them to play with. As you can probably guess by this point, however, we always prefer making things ourselves rather than buying them in stores whenever possible. That way, our kids get to have fun helping us create something new all by ourselves and they get to enjoy playing with it afterwards as well! Our favourite crafts have always been the ones that involve upcycing, particularly if it means making something that gives the old materials a new use because you’re making something functional. That’s probably why we thought this DIY beach sand mill idea was such a fantastic concept! 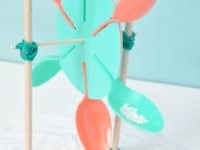 Handmade Charlotte shows you how to make it out of small wooden dowels, fun coloured string, and bright plastic spoons. Have your kids been learning about nature and animals in school recently and now you’re looking for ways to keep those educational facts in their playtime routine over the summer? Maybe they’re just really outdoorsy and they’re always pretending to be experts at tracking and raising all kinds of animals. In either case, we think you’ll get along very well making these funny little foot stamps that leave animal shaped footprints in the sand! Check out how DIY network made theirs look like little bird feet in the sand. In our house, all kinds of crafts are popular, if we’re being honest. Our kids are quite content to make (or help us make) accessories, toys, decor, practical things; you name it! Thats why these funny little sponge leis featured on One Crazy House were just a hit in our house. 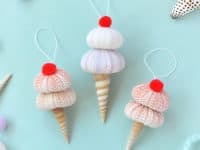 The kids had a blast making and wearing sponge necklaces, we got to upcycle spare kitchen wares we weren’t using, and now we have a fun way to help keep our little ones a bit cooler on long beach days while they play in the sand. Soak the necklaces in cold water and give one to each child so the water cools their skins while they wear it. We’ve even kept the wet leis in a cooler before on those extra hot high summer afternoons when there’s not a cloud in sight. Speaking of fun, cold ways to keep your temperature down, here’s an idea that will keep everyone active no matter where you are! 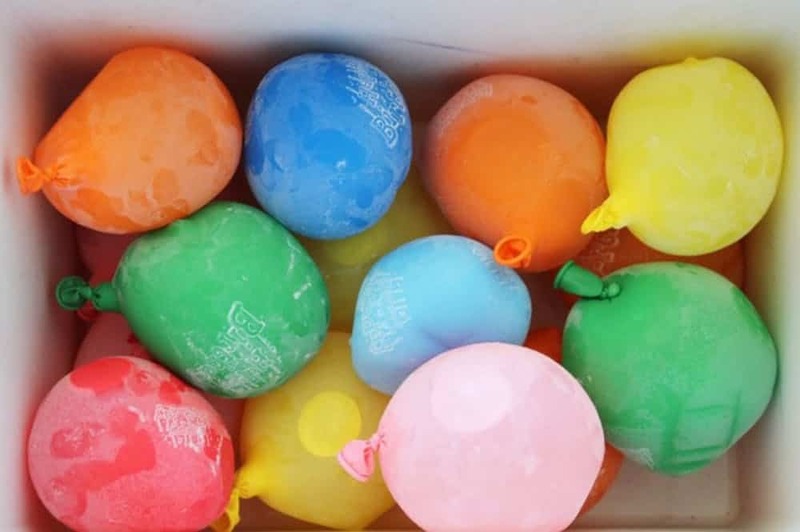 Brit + Co. suggests filling a pack of water balloons with cold water and then piling them all into a cooler. When you hit that point in the afternoon where everyone’s starting to get really hot but also looking for a new activity to start, have a chilly water fight! Just make sure you pick up any spare balloon pieces that are left in the sand after so the beach stays clean for everyone to use. Are your kids the kind of innovative little designers that will spend hours on the beach just patiently building whole cities out of sand? Ours certainly are and we’re always grateful not only for that creativity but also the fact that they’re able to keep themselves occupied in such a simple, productive way for so long! That’s why we were so happy to find a way to help make their building process as easy and fun as possible. 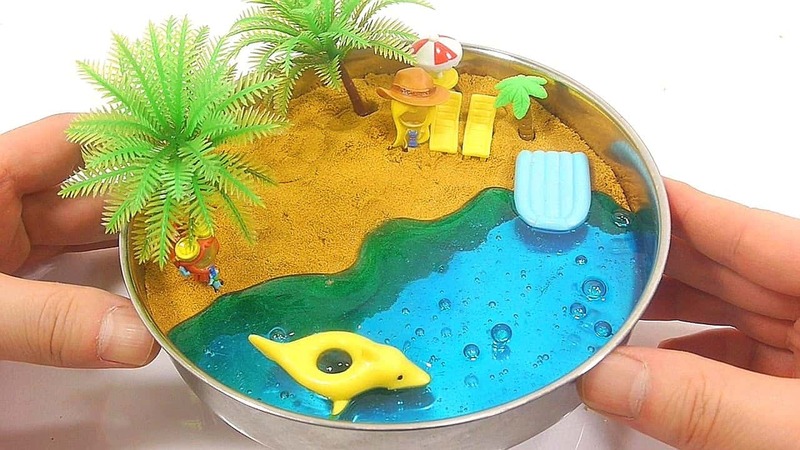 Check out how Sandy Toes and Popsicles made an awesome “sand castle making kit” out of simple things you’d find around your kitchen or garage. When we decide to spend an entire day at the beach, we don’t mess around; we pack everything we could possibly need for an entire day and we stay until the bitter end when the sun finally dips below the horizon and the air gets too cool. Because we like to stay for so long, we always make sure to bring lots of different drink options in order to keep everyone hydrated but also not bored with their beverage choices. The more drinks you bring along, however, the less efficiently all the cans and bottles fit in the cooler and the heavier things get. 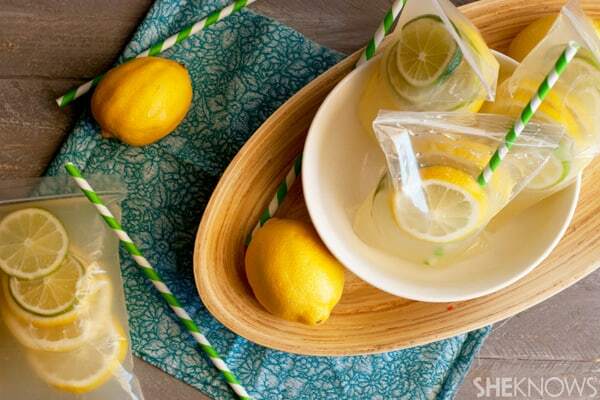 That’s why we thought this lemonade pouch idea featured on She Knows was such a fantastic idea! They’re lighter, easier to pack, and easier to collect the litter for. Just make sure you seal those sliding zips very well on the way there to avoid sticky leaks. Perhaps your kids are very little and, even though they adore going to the beach, they’re just not quite ready for playing in the actual open water for long periods of time without your constant supervision? Well, having little kids of our own, we can fully understand how that can be tiring for everyone involves, which is why we thought In Lieu of Preschool‘s idea for building a smaller, shallower pool was such a fantastic plan. They show you how to dig a small kiddie-sized pool, line it with a large plastic tarp so that the water can’t escape, and fill it up as full or shallow as you think is best for your child. We love that this whole concept lets you keep your kids as close as you need without taking away their water fun entirely. 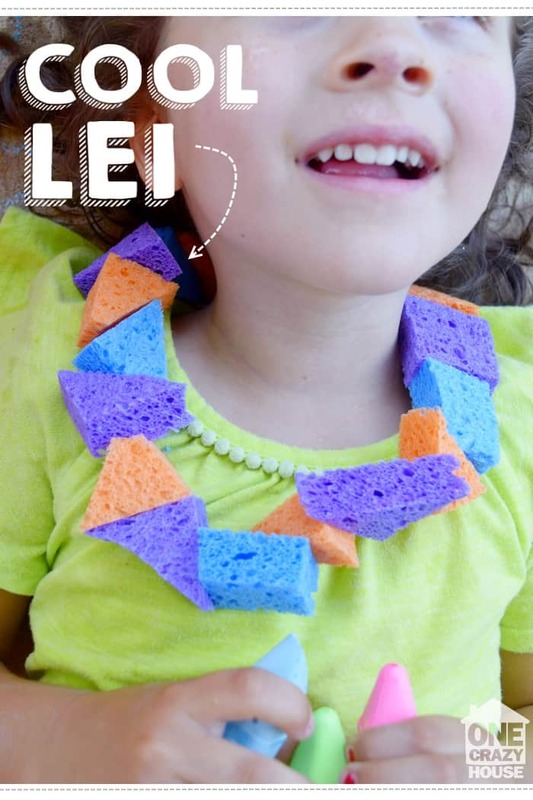 Were you quite intrigued by the idea of keeping cool using sponge leis but your kids are the kind of active little athletes who you can barely even keep shoes or a sun hat on at any give moment, so you doubt they’ll wear them? 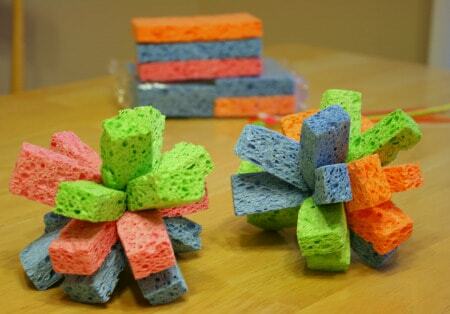 Then we absolutely suggest taking a look at this alternative sponge cooling idea featured on Makes and Takes instead! These fun little sponge bundles are great for games of catch because cold water will squeeze out as you throw and grab them. We make new ones every year because our kids play with them so much that they’re worn right out by the end of the season. 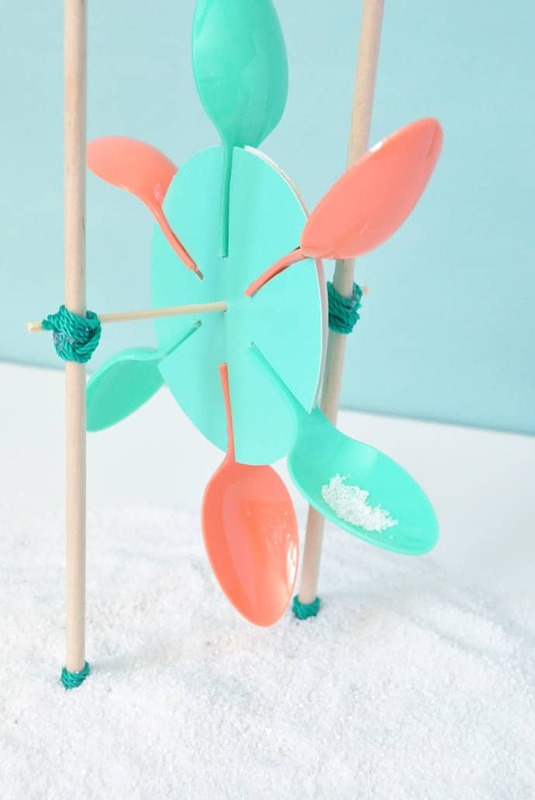 What if you’re been scrolling through our list wondering whether your kids might rather do some crafting after a long day on the beach? Then we’d suggest collecting some fun supplies while you’re there and using unconventional materials to make something cute! 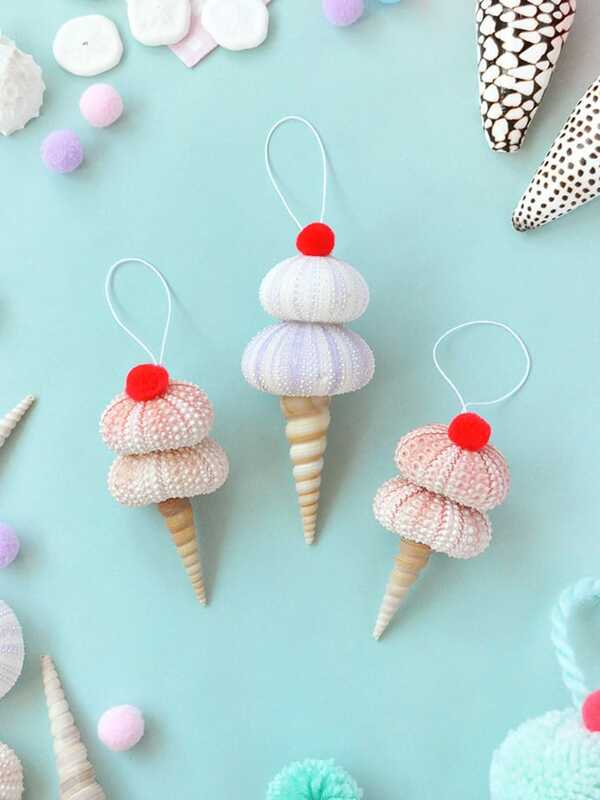 We’re huge fans of these adorable little shell ice cream ornaments created by Handmade Charlotte using shells found on the beach, but there are plenty of shapes and things that you can make with the shells you find in the sand on your own beach day. 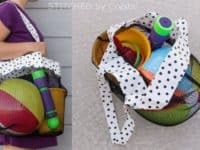 We know we said that this post would be made up primarily of DIY toys and games that you can make for the beach, but that doesn’t mean there aren’t other kinds of useful DIY projects that you can create as well! 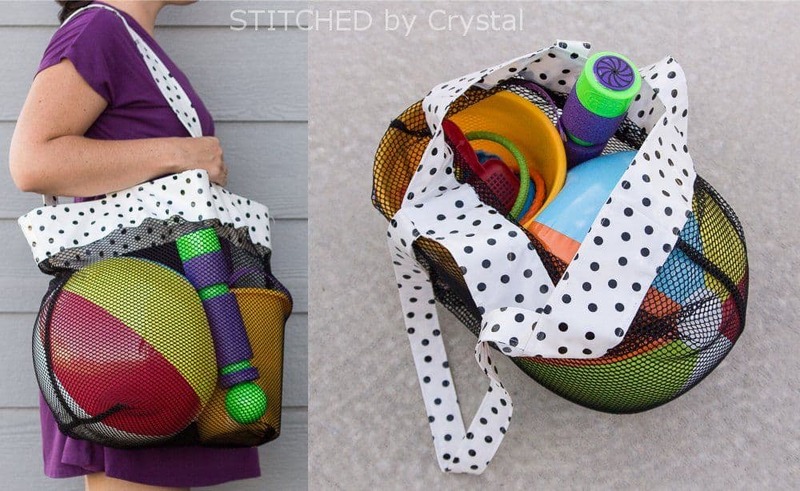 This homemade mesh tote bag that’s perfect for carrying the beach toys you already have in on your way to and from the beach is the perfect example of what we mean. See how it’s made in more detail on Make It, Love It! 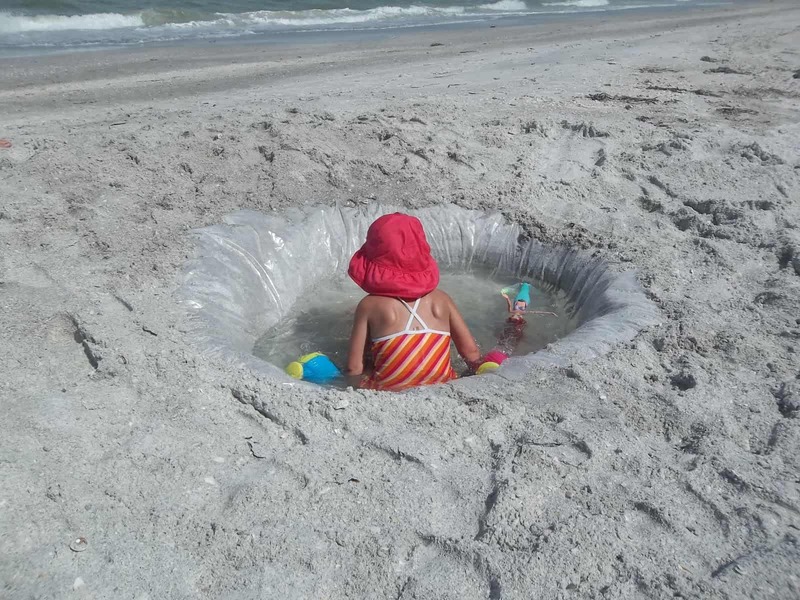 Since we’ve begun talking about all kinds of useful things that you can make for the beach besides toys, here’s another awesome (and super simple) DIY beach hack for your consideration! 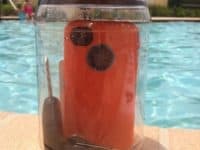 The Shabby Creek Cottage suggests cleaning out an empty peanut butter jar and using it as a water proof case to put important things like your keys and cellphone in to keep them protected from sand and water. 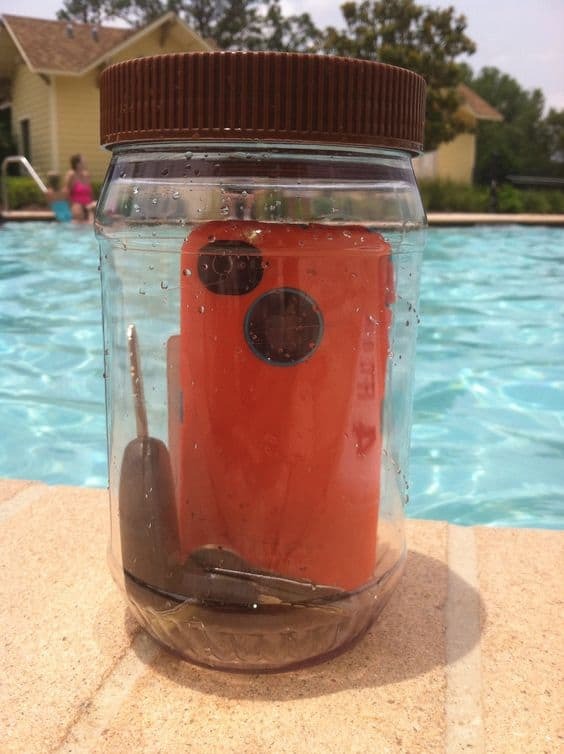 This idea works well for days spent at pools and splash parks too! 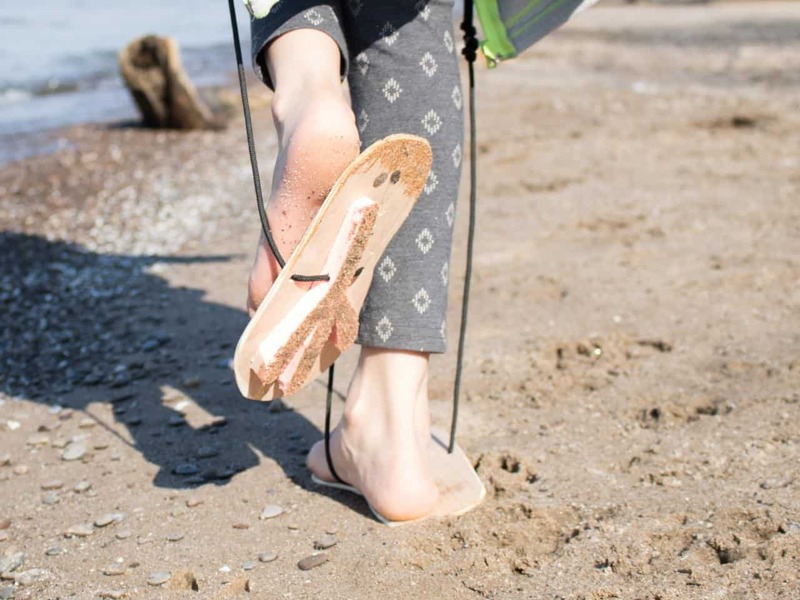 Perhaps your kids have been desperately wanting to go to the beach every single day this week but the weather just hasn’t been cooperating and it’s rained or simply been too cold every day that you were planning to take them? Then maybe you can lift their spirits by helping them make some sand for sand castle building at home and inside instead! 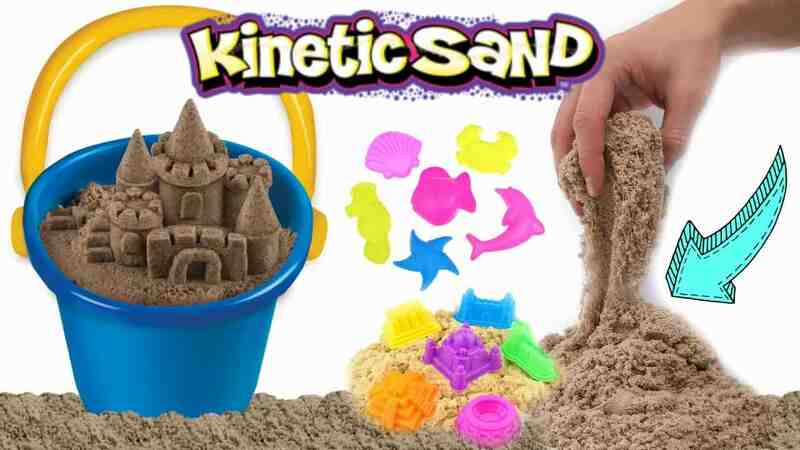 Lacey Loves Toys guides you through the process of making kinetic beach sand that will keep your kids busy with hands-on fun for hours! 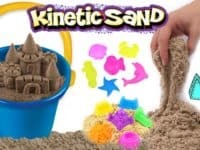 Just in case you’re still looking for some indoor beach inspired crafts because the poor weather just hasn’t let up, here’s an awesome suggestion for taking your kinetic sand project one step further until you and your family can actually make it to the beach for real. 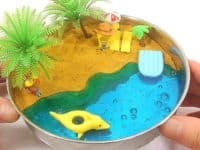 Check out how Pom Poms Toys made a cute little kinetic sand and slime beach inside a bowl, embellished with figurines and toy trees! This project is a fantastic experience when it comes to textures. 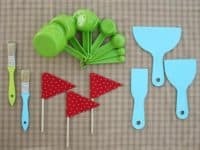 The post Fun Outdoor Times: Awesome DIY Beach Toy and Game Ideas appeared first on WonderfulDIY.